Recruitment practices play an important role in the cycle of migration, from the initial stage of recruitment, to pre-departure training, to the signing of contracts, to repatriation. In light of the influence of the recruitment process, the need for collective global initiatives to strategically address the problems in labour recruitment has never been more crucial than today. For many years, migrant workers, civil society groups, trade unions, and other allies have been aware of, and gravely concerned about the abuses endemic in the migrant labour recruitment process. Numerous initiatives and campaigns have been organized globally to uplift these concerns and to advocate for rights-based policies to combat such blatant exploitation. Members of the Open Working Group on Labour Migration & Recruitment work continuously at the national level to bring about positive change in recruitment regimes for migrant workers. This ranges from frontline service with migrant communities to research and policy advocacy. The Open Working Group aims to bring these efforts together to engage in collective advocacy at the international level. RecruitmentReform.org is an initiative of the civil society Open Working Group on Labour Migration and Recruitment. With members from civil society organizations across the world, the Open Working Group is committed to knowledge sharing and collective advocacy to reform migrant labour recruitment practices globally. 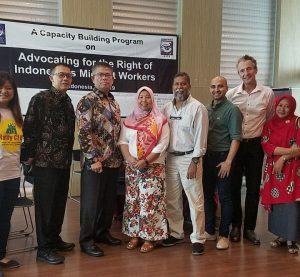 Building upon years of civil society advocacy on labour migration, human rights, and recruitment reform, the Open Working Group was initiated in May 2014 by Migrant Forum in Asia and the Global Coalition on Migration (GCM) together with other civil society organizations. 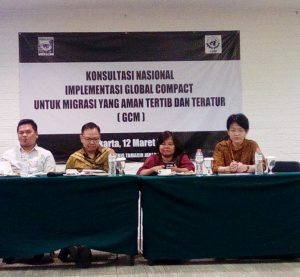 The Working Group is coordinated by Migrant Forum in Asia and forms part of the Migration and Development Civil Society Network (MADE). If you are interested in joining the Open Working Group on Labour Migration & Recruitment, please email us at mfa@mfasia.org to express your interest. Click here to see how members can contribute to the working group!